Raheem Sterling has come under fire. 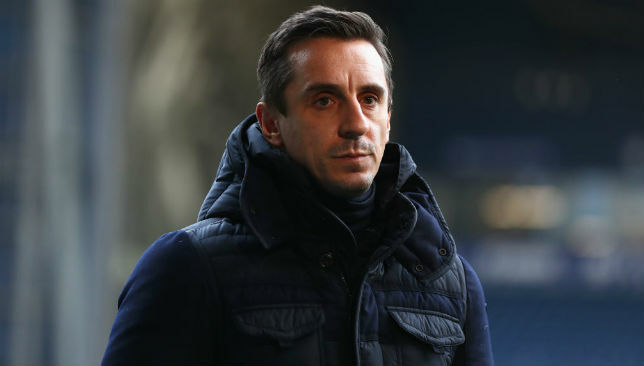 Former Manchester United and England defender Gary Neville has hit back at criticism aimed at Raheem Sterling on social media. The 23-year old has been under fire even before the World Cup started, with many questioning his choice of tattoos and his performances week in-week out. 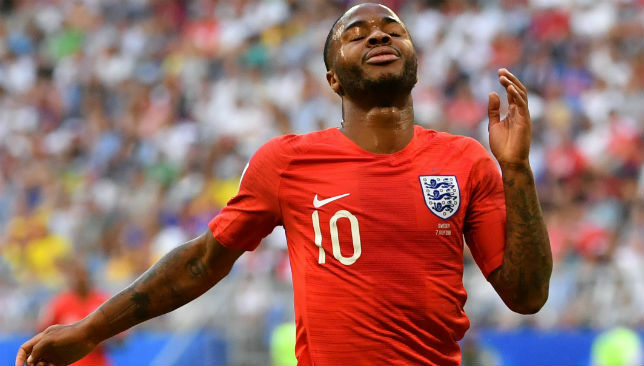 Neville, however, believes all the negative comments Sterling has received over the past few weeks have been unfair and “disgusting”. The Manchester City star missed a one-on-one chance to score for England against Sweden in the quarter-final clash, but was an attacking threat throughout for Gareth Southgate‘s team. Yet, he wasn’t spared on Twitter and some fans were very critical of his value to the team. “The actual treatment at half-time of him across social media was absolutely disgusting, and isn’t representative of the performance he put in,” Neville told ITV. Meanwhile, David Beckham too agreed with Neville’s thoughts, saying: “Haven’t seen this but whatever it is it’s wrong,” Beckham wrote in an Instagram story. Kylian Mbappe has three goals so far in Russia. Thomas Vermaelen is well aware of just how dangerous Kylian Mbappe can be as Belgium prepare to meet France in the semi-finals at the World Cup. 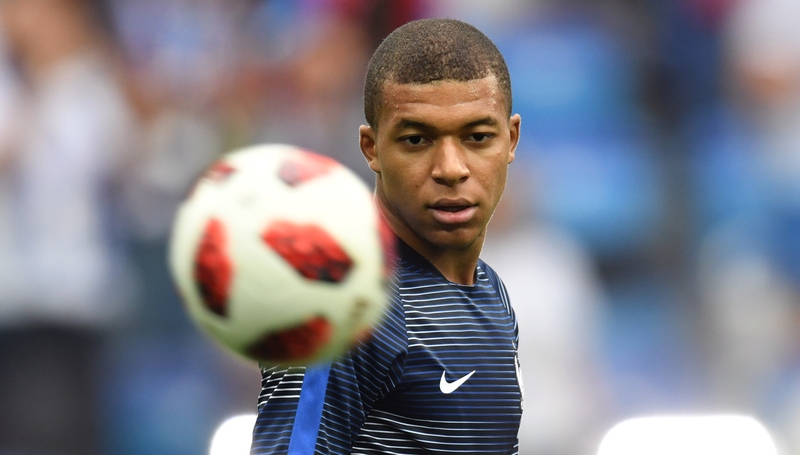 Mbappe has scored three goals during France’s run in Russia, which means the Belgium defence will have their work cut out to slow him down on Tuesday. “He can change a game in a split second, so it’s not going to be easy,” Vermaelen said. See what else Vermaelen had to say in the lead-up to the contest in the video below. Stars in shirts aim to put a star on their shirt as Europe’s shining lights, France and Belgium, do battle for a place in the World Cup final on Tuesday in Saint Petersburg. Both nations are brimming with generational talents and the two have already achieved their minimum requirement for the tournament by reaching the last-four. However, Les Bleus and the Red Devils are the two best sides left and have already come through a trial of fire to get here. Didier Deschamps has steered his team past South American duo Argentina and Uruguay in the knockouts, while Roberto Martinez’s men produced a stunning fightback to break Japan hearts before bringing Brazil to tears in the quarter-final. Now, they both reach for the stars and so with that in mind, we examine some of the key questions ahead of the semi-final clash. From Belgium’s starting XI which was knocked out in the 2014 World Cup by Argentina, nine remain. Of the XI to be eliminated by Wales at Euro 2016, eight are in Russia. 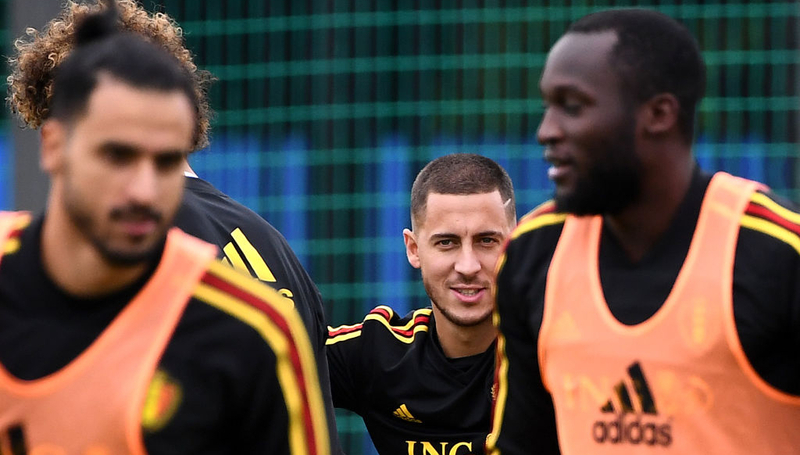 World Cup 2018 represents the final rotation for much of Belgium’s ‘Golden Generation’ with only Romelu Lukaku and Thibaut Courtois not nearing or hitting 30 in two year’s time from the expected team to face France. And while they were considered dark horses for the two previous tournaments, this time around the narrative has shifted. 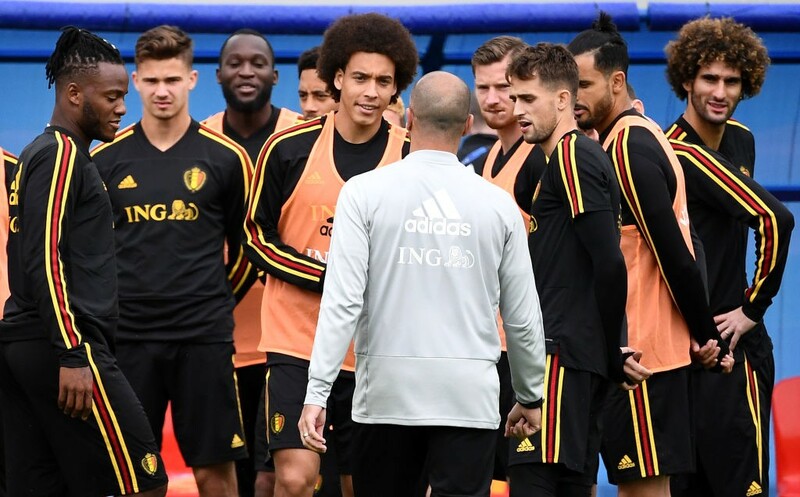 Indeed, heading into this World Cup, Belgium were no longer a team of potential but one which promised to finally deliver on its precocious stock. So far Martinez has managed to cajole his stable of stars into contenders, showing tactical talent of his own in the process – particularly in masterminding the first-half evisceration of Brazil. That victory felt like a coming of age, a confirmation of their pedigree and the evidence of direction as they defended with diligence and countered with devastation. The squad is evidently right behind Martinez and perhaps they know this is the group’s last chance of major success. But the Catalan will need to hatchet another devilish plan to exploit any French weakness. There will never be a better chance for this set of players to finally deliver on their promise. They have never been bettered prepared for it, as well. IS THERE A BALLON D’OR BATTLE? It’s not really necessary to bring the Ballon d’Or debate into a clash of this significance, but you still can’t shake the conversation with four contenders taking to the field on Tuesday. 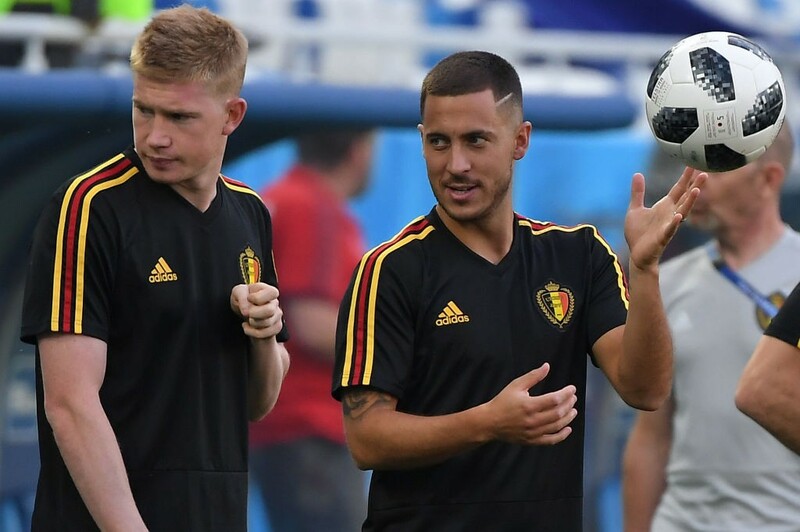 For Belgium, Eden Hazard and Kevin De Bruyne are up for examination while Kylian Mbappe and Antoine Griezmann occupy France’s candidacies. Lionel Messi and Cristiano Ronaldo have effectively come to a mutual understanding they will relinquish their decade-long vice grip on the position of world’s best player and with Neymar’s reputation sliding, the role is open for applicants. A legitimate resume, though, will require at least a place in the World Cup final with the experience of a standout performance in either the semi-final or the showpiece. But all four have the capability to add gravitas to their claim. De Bruyne is perhaps the best counter-attacking weapon in the world right now, displaying the right touch, turn, awareness, pass and shot in Russia. He could, though, lose out to team-mate Hazard, which seems incredulous given De Bruyne was beaten to the player of the season in England by Mohamed Salah. However, there is a sense we’re entering the Hazard era because the Chelsea star has been a man on a mission. Aside from Messi, he’s the best dribbler in world football – his 23 completed in Russia is joint highest with the Argentine genius. Then there is Mbappe who knows a similar display to that of his Argentina annihilation will thrust him to the front of the queue, while Griezmann has been a picture of consistency for club and country. The team obviously comes first with the World Cup final a priority but individual honours are in the mix for sure. 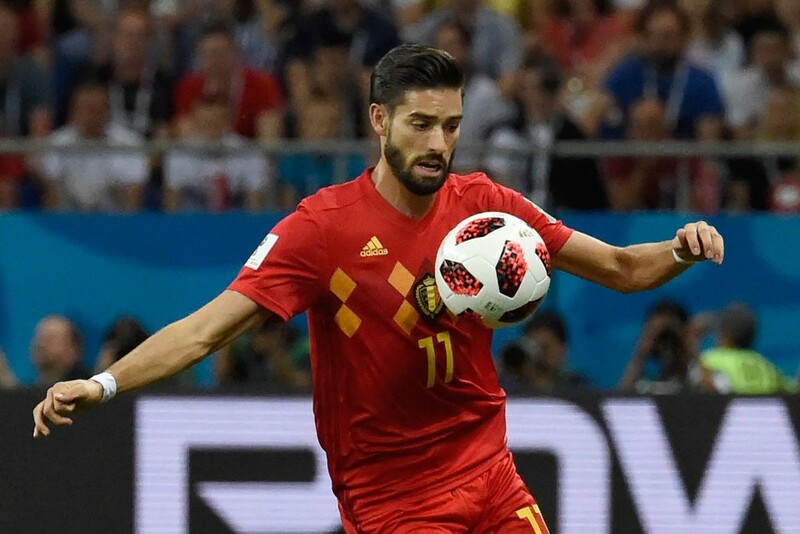 France and Belgium have both shown areas of weakness in the tournament and it could be a case of which is exploited better. Deschamps will be aware of Belgium’s frailty at the back, especially when faced with pace. The loss of wing-back Thomas Meunier to suspension can not be underplayed because his ability to operate up and down the right flank is absolutely pivotal. Nacer Chadli was excellent against Brazil but will be swapped out onto the right, meaning Yannick Carrasco is brought back in on the left. The latter has looked lost, marooned in the middle of an awkward space between attacking and defending, at times doing neither. Mbappe will have more room to move than he did against Uruguay and as we saw against Argentina what he can produce when given the type of space which is likely to be vacated. But France have yet to turn a deeper shade of bleu and still look like they are playing within themselves. If they fail to raise the intensity, Belgium have the firepower to light them up. Ultimately, it’s a contest of counter-attacks so it’s a case of which flaw will raise its head first.